I was raised Christmas did not end on Christmas Day. Coming from an English descent we believed in the season of Christmastide, the twelve days of Christmas. 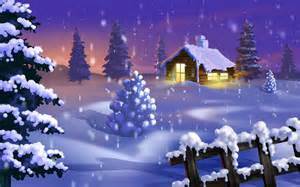 Christmastide means the festive season from Christmas Eve to Epiphany (January 6). It’s a season to continue enjoying family, friends and celebrating the birth of the Christ child. A season of light and love. Some of us as adults get so caught up in the shopping, working, school and church pageants, we do not sit down and truly enjoy. We want to quickly tear down the Christmas decorations and have an attitude that Christmas is more of a burden than a joyous season of gratitude. It’s hard not to get caught up in the whirlwind of the retail stores controlling Christmas versus us taking charge of the season. Don’t misunderstand, as I have posted before I love everything about Christmas. However, I like to keep it in perspective and enjoy Christmastide. The hustle and bustle is over and now it’s the time to let this season soak deep into your soul and resonate out to the world. Relish in it. Don’t be quick to tear down your Christmas decorations, continue to read Christmas books to your children, watch “It’s A Wonderful Life” again, bake, mail out those Christmas cards, and invite friends and family over to enjoy Christmastide.